The skin is the largest organ in the body. It is also the first barrier to microorganisms that cause infection. Any break or tear in the skin can introduce bacteria inside the body that may or may not always lead to sickness. Aside from that crucial function of being the body’s first-line of defense, the skin serves an aesthetic purpose too. After all, we see with our eyes and you can easily pass judgment on another person based on what you see on the outside. While beauty may be subjective and is in the eyes of beholder, a healthy-looking and supple skin is hard to achieve in a largely polluted world. As the weather heats up and summer is fast approaching, people wear less items of clothing to beat the heat. As a result, you end up baring more skin than you are used too. You may have no care in the world about what your skin looked like when it’s all cold outside and you are wrapped from head to toe but it is a different story during summer time when wearing less is more. The question now is this, is your skin ready to welcome the summer season or does it need more pampering than what you are currently giving it now? Whenever possible, use hats, sunglasses and light-weight clothing to keep skin covered and out of direct sunlight and its UV rays. Always use sunscreen that is water resistant, broad-spectrum, and has an SPF rating of 15 or higher. When it comes to choosing which sunscreen to apply, it’s recommended to find one that you like and are comfortable applying –- because it’s more likely you will use it regularly. Then simply make it a habit to apply daily. All hail the sun for all its glory but too much of a good thing can also be bad for you. 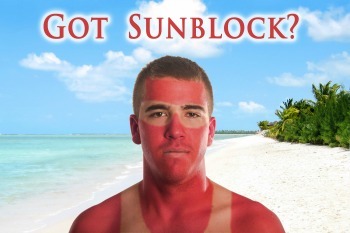 The sun may be a valuable resource on earth but overexposure to it, especially the midday sun, is harmful to your skin. Aside from hastening aging and leave you looking sunburnt, it also increases your risk of developing melasma and skin cancer. If sunburn does occur, a few proper steps can help alleviate the discomfort and promote healing. The skin needs to breathe and release the trapped heat. Take a cool milk bath or apply cold, plain yogurt topically, rinsing off after it dries. Aloe vera products can also soothe inflamed skin, along with damp, cool cloths. Staying hydrated is also important to prevent sun-related headaches and anti-inflammatories, like ibuprofen, can help with the pain and discomfort from red and swollen skin. See a doctor if there is blistering, a fever, chills, or a confused mental state. You may have felt all warm and cozy in your woolen sweater and coat, gloves and scarf but you have no choice but to expose more skin during summer if you don’t want to faint from all the heat and humidity around you. In case you do suffer from sunburn during your day out in the beach, make sure you know how to heal and soothe your burning skin, so you no longer have to suffer in silence. For a lot of us, the official start of summer is looming. And as expected, our skin will be adjusting with the times. We’ve waxed poetic time and time again about the importance of year-round sun protection, but make no mistake: your summer skin care routine doesn’t start and end with SPF. From the foods you eat to the temperature of your shower water and the way you cleanse, there are a host of bad habits to rid yourself of before the hottest season arrives. Dove dermatologist, Dr. Mona Gohara, helped us get down to the nitty gritty of each one, so keep reading for the pro-tips you can actually trust. Aside from knowing the usual skin care tips, it helps to be privy on things you should avoid doing if you want clear, bright, and healthy skin all summer long. Even in the middle of a sticky and hot day, nothing feels better than the steam from a hot shower. Unfortunately, that simple pleasure is also a killjoy for healthy skin. According to Dr. Gohara, “Taking a hot shower compromises the skin barrier as. Keep it lukewarm to avoid overly irritating or drying the skin.” She also advises against soaps that tend to strip the skin of natural oil. You’ll be surprised to find out that many of your habits are actually doing your skin more harm than good regardless how good they felt. Your skin needs all the loving it can get, so don’t forget to wear some sunscreen before leaving the house. You can’t stop the season from changing. And with climate change and global warming that is now our reality and no longer just a threat, the risk of developing skin diseases is high if you constantly expose yourself under the scorching heat of the summer sun. You can still enjoy summer without subjecting your skin to all sorts of torture if you know what to do and what not. Africa has been the face of poverty for a long time now. People from other countries see Africa as a nation devoid of opportunities for economic, professional, and personal growth and for good reasons. Even the Africans themselves experience extreme hunger, poverty, famine, and economic and political oppression and are a picture of stick-thin people who are deprived of even the most basic of human needs, even access to clean drinking water. It’s depressing to see people suffer when they live in a continent that is innately rich in natural resources that are sadly not put into good use because political leaders aren’t capable of making the change the continent need for progress. Like in any other nation, we all think of the youth as the hope of the future. After all, they will be the ones to lead us all someday. But what if the youth don’t have access to the tools they need to be effective and efficient future leaders like food, clothing, shelter, and most importantly, a quality education? What is in store for a continent like Africa that has always been struggling to provide for its citizens and often rely on foreign help even just to survive? Before we try to find an answer to this topical question, it is useful for us to know why we inAfrica have not achieved much successes in providing better health, education, employment, and a clean environment: the critical indicators of “sustainable development. Well, there are predominantly two views: (i) Africans are deliberately kept poor by their colonisers, and the other view is that “the road to hell is paved with good intentions” holds true: Western model of development, that took centuries for the ideas of development to its fruition, is being applied to Africa and hence does not work. In fact, did not work. It did not work or at least liase the intentions of the “good doers” were: despite over 40 years of aid-based development initiatives with the generous sums of billions of dollars, life of fellow Africans has not changed that much. So, we are back to the same question: How do we achieve sustainable development inAfrica in general and Zambia in particular. It makes perfect sense to invest more on African youth because of the unprecedented youth bulge in this fairly young and developing continent. Roughly 65% of the African population ages 35 and below. It can be an opportunity or a problem depending on how African leaders see it and what course of action they will take but it proves to be a challenging ordeal that present leaders must address. Taking shortcuts can’t solve Africa’s problems. Leaders and adults alike should be proactive in engaging the African youth early on by assigning them leadership roles to hone them and teach them the skills needed to be successful someday. Even if the youth is far higher in number than adults, African adults should still find the time to guide them and offer support if necessary to prepare them for Adulting and just about everything else. By teaching them young, the youth have more time to learn valuable knowledge, values, and skills they need the most when it is finally their time to lead Africa. The Philippines constantly makes it to the headlines because of Duterte’s war on drugs. Since assuming office, several hundred thousand have surrendered voluntarily while a few thousands who resisted arrest and fought back have died in (legitimate) police operations. This war crusade has caught the attention of the entire world and it’s got people divided. 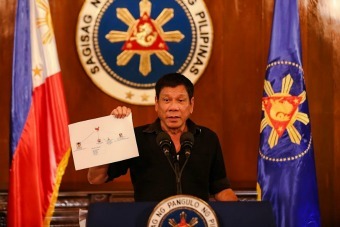 Some raise their eyebrows and do not approve of his iron fist implementation of the law but many are actually happy to see these changes happening in the Philippines right now. If you ask the majority of the Filipinos these days, they will tell you that they feel safer walking the streets now under his leadership. Even if the drug trade has not been totally obliterated, many things have changed and they credit it all to the strong political will of a leader of Duterte’s caliber. Along with his fight against drugs, he is also committed to putting an end to corruption in all aspects of governance, so that the people get what they really deserve from the government. And this drug crackdown is apparently doing the country’s economy a lot of good as the Philippines is now the 10th fastest growing economy globally. President Rodrigo Duterte’s death squads may have killed democracy in the Philippines, but they haven’t killed the country’s vibrant economy, which is the world’s 10th fastest growing economy in the world in 2017. That’s according to the World Bank’s latest edition of Global Economic Prospects. For 2017, Philippines’ economy is expected to advance between 6.5 to 7.5 percent. That’s almost twice the country’s long-term growth. GDP Annual Growth Rate in Philippines averaged 3.68 percent from 1982 until 2017, reaching an all time high of 12.40 percent in the fourth quarter of 1988 and a record low of -11.10 percent in the first quarter of 1985, according to Tradingeconomics.com. The Philippines economy has benefited from a stable macroeconomic environment of low inflation and low debt to GDP ratio, which has helped sustain a healthy domestic demand growth; and from a revival of the Asian Pacific region that have boosted exports, which account for close to a third of GDP. President Duterte is determined to uplift the lives of six million Filipinos living in or even below the poverty line by growing the Philippine economy by as much as 50% within his 6-year term. At the rate it is now going, the well-loved president by the Filipinos may be able to deliver his promise of a 6.5 to 7.5% economic growth this year. There may be threats still especially when it comes to extreme natural disasters that are constantly wreaking havoc to this island archipelago year in and year out. The Duterte administration’s decision to rekindle ties with countries like China and Russia, as well as strengthen friendships with Japan and Korea, has reaped rewards, economic managers said. Trade Secretary Lopez said the Chinese and Japanese governments alone have committed about $9 billion each in official development assistance. Business-to-business talks have also gone well, with private deals in the works. “These are not just commitments. Toyota and Mitsubishi have started to produce some of their cars locally and with local content too,” Lopez said. To further expand the economy in anticipation of more foreign investments, the administration is planning a steady rollout of infrastructure projects during its term. Alliances are made and some are broken. That’s how politics work. While Duterte has not entirely severed ties with the US now that Donald Trump won against Hillary (Clinton – who is an ally of the current Philippine opposition party), it did not stop him from pursuing friendly relations with China and Russia. These new alliances promise new opportunities/ investments and further growth for the economy in the years to come. These nations have even extended a helping hand to the Filipinos who are still battling IS rebels down south in the war-torn city of Marawi. Foreign experts who have been keeping a close eye on the Philippines for a while now agree that the country is on its way to economic freedom if this positive economic growth continues. Many are also hoping that the ongoing crisis in Malawi, that has prompted the president to declare the entire Mindanao under Martial Law, will not affect how the country performs economically from now on. There is still a lot of work left to do as corruption is still ingrained in every aspect of the government and Duterte has to perform some kind of miracle to wipe out drugs and corruption in the land for good. Retail therapy is one of the best feelings in the world. Being able to buy whatever you want, when you want it, if possible, regardless of the price tag is something not many can relate to but it is motivation enough for you to work harder. Unfortunately, shopping these days can be such a drag. Imagine having to drive for hours because of the terrible traffic especially if you live in big cities and the crowd, just the throng of people trying to complete their Christmas list and the long lines aren’t pretty thoughts either. Remember that the population is exploding and people often migrate to the cities for better opportunities. But do not let that discourage you from finishing your list and no longer having to worry about missing out anything. Since we are all preoccupied with technology these days, why not put it to good use? After all, most people now own a smart gadget or two aside from all the other tech devices they have that makes up the Internet of Things. With the help of social media and the Internet, it is easier to do your shopping online than it did in the past. You no longer have to go out and mix with the crowd of shoppers looking for a bargain when most shops have online stores and not to mention huge online shopping destinations like the Amazon, eBay, Walmart, etc. that offers just as many options and discounts with just a click of a button. However, not all are savvy when it comes to these especially older adults who are still trying to find their way as they navigate the vast realms of the World Wide Web and the many mysteries and perils of online shopping. Make sure your system is running with up-to-date anti-virus software, and has the latest software security updates installed. Check for expected delivery dates, shipping and handling fees, warranties, return policies and other important information. Keep an eye on the price and make sure it includes all extras such as VAT, postage and packaging, and insurance if required. Most sites display the price of the product inclusive of VAT. The shipping charge, if any, is added at the checkout stage. This information should be easy to find on the retailer’s site. 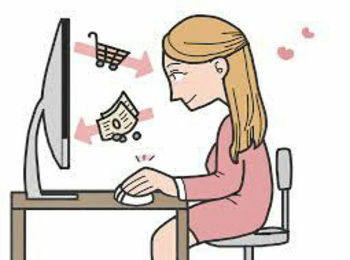 Heed these tips to make online shopping such a breeze for you. You don’t always have to be tech savvy when it comes to these things but covering the basics always comes in handy and can save you from a lot of costly headaches that involves replacements and returns among others. Shopping through your computer or smart device may be convenient but just brace yourself for the difficulties you might encounter when there are problems with your purchase. While it is common sense for any online shopper to only buy from legit online shops, the temptation to avail that bargain can be so strong that others end up buying from scammers. The key tip while shopping: look up at the URL and make sure it starts with HTTPS. “So, if they don’t have that if the duplicate site doesn’t have the https and it only has HTTP, you can rest assured that that’s a scam,” explained Mihailovici. Also, look at reviews of a site before buying but do not depend on testimonials on the site itself because those can be fake too. Crimes have moved to another platform too – the web. It’s no longer surprising as more and more people access the Internet on a daily basis and do lots of online transactions. The risk is high but if you make sure to protect yourself all the time and avoid dubious sites or links or refrain from opening suspicious emails, you’ll be just fine. Since you are paying using your credit or debit card when shopping online, take some extra precaution with your bank as well, so that you are aware of all transactions made using it and you can act right away if anything looks awry. The bottom line here is that a little common sense can go a long way. Whether you shop online or in the real world, there are problems you might encounter along the way. Do your research before placing an online order and double-check everything before clicking that final order button. Mankind has lived long enough on the planet but poverty and inequality remain to be chronic issues that affect every society, whether that of progressive nations but more so of struggling, developing third-world countries. The planet is naturally rich in different resources that can support the people living in it but the unequal distribution of resources is the main problem why some have too much while many have so little. It’s greed. That’s really the problem in today’s world. And it does not just happen on a personal level. Even powerful nations rob poorer countries of their natural resources without the citizens knowing, like in Africa. Poverty persists because leaders fail to allocate resources properly. It’s the reason why poor people die poor and the rich ones continue to become rich and pass on their wealth to their next of kin. A few hardworking and really talented people may break out of these stereotypes but the general economic structure remains set in stone. When we talk about inequality, it is not all about income gaps. There is also an ethical and social consideration to this lifelong dilemma. 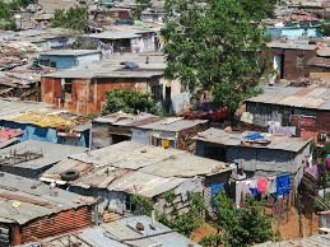 Too much poverty and inequality can lead to social chaos as people will distrust and fight one another over what limited resources they have. Communal service networks have helped knit together organized Jewish communities for generations. Our ancestors, whether escaping Russian pogroms or surviving Nazi death camps, came to the United States in conditions of abject poverty, carrying our legacies with them. Social service efforts have helped hundreds of thousands, if not millions, of our own. If any community has the history to help launch a “moon landing” to defeat poverty, it is ours. We can’t do it alone, nor should we, but we can convene our neighbors, our friends, our hearts and our intentions to do something unprecedented. We can bring together the minds and the expertise to craft a comprehensive plan to end poverty as has never been done before. We can harness the minds, the will and the resources that resulted in “one giant leap for mankind,” thereby marshaling the tools needed to affect the lives of the poor in the most far-reaching and profound way imaginable. The continued existence of poverty and inequality continues to puzzle many people because we have the resources around us but there are still people living in hunger while a few live in utter comfort. There are individuals without a house of their own, who lives off from begging on the streets and the generosity of others. Meanwhile, a few lucky ones get to travel the world in style and acquire all sorts of material wealth most people can only dream of. jobs — an absolutely vital part of any solution, of course. Taxes appear, although indications are that a focus on personal and corporate tax reduction and simplification won’t necessarily help ease growing inequality. In addition, apparently repealing and replacing the Affordable Care Actis so monumental a task (after years of Republicans demanding a new plan but not developing one) that Trump said any tax changes would have to wait their turn. In addition, there is no mention of racial strife, the problem of state violence at high rates against minorities, or the ruinous and unequal degree of incarceration. There’s mention of education, but given Betsy DeVos’s appointment as education secretary, it seems more likely to assume the emphasis will be on market competition as an answer. Unfortunately, vouchers are unlikely to be large enough to give poorer people access to good private schools, even if there were enough spots in such schools or they had been constructed near their communities. Unfortunately, the Americans can’t expect to see these problems addressed anytime soon under the leadership of President Donald Trump who has lived in luxury almost all his life. He did not even identify these issues as a part of his priorities during the election, mostly focusing on external issues like defense and immigration policies. Many internal issues that the country, or even the rest of the world, faces remain unanswered. Even access to education, which is a tool that poor children can use to uplift their lives, is out of their reach anymore. Federal funding has been significantly reduced not only on education and the arts but even of the EPA too. This apparent neglect will likely have lasting damage to the US because the sitting president does not see eye to eye with the rest of the country. Before even going to school, children learn from their parents first or from whoever it is taking care of them from an early age. Parents are considered as role models in a lot of ways because kids often imitate what they do. But as soon as a child starts attending school, they spend more time in the four corners of the classroom than at home. They interact with other kids their age and they look up to their teachers who teach them a lot of things about life. It’s when parents often take the back seat and they pass most, if not all, of the responsibility to the teachers in educating their child. However, that should not be the case. Children need their parents in as much as they need their teachers. There are things they learn from school but they learn more about real life at home. Kids also perform better academically if their parents are hands-on on their education and often check on them and offer help when needed. Back then, parents worked alongside teachers but now, only the teachers put in almost all the effort. As a result, the child loses a lot when they don’t have the support only their parents can give. Add to that the many technological distractions today like social media, a student’s grade suffers and they perform poorly in class too. America‘s schools are caught in a peculiar vise. We’ve made it clear that we expect schools to succeed with every child. That wasn’t always the norm. Over the past 25 years, though, reformers on the left and right fought to ensure that schools be expected to educate every child. Today, we largely take that mission for granted. That represents a tectonic shift and a tremendous victory. Back in the 1980s and 1990s, American education paid a lot of attention to the quality of parenting and far too little to the quality of teaching and schooling. It wasn’t unusual to hear educators declare that certain students were unteachable or that they couldn’t be blamed for not teaching kids who weren’t there to learn. 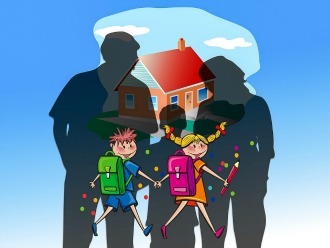 Parental responsibility is no longer discussed openly and when they do, it is often in hushed voices as the teachers are afraid to upset parents. However, you can’t always blame the parents if they aren’t too keen on attending to the needs of their child in school. Both are presumably working and are overstressed and overburdened with responsibilities that what little time they have left they often take advantage of it to catch some sleep and rest. They are often confident that the teachers can handle everything at school but that is not always the case. Last month, the US Department of Education released data showing that 13% of American students, over 6 million children, missed more than 15 days of school during the 2013-2014 school year. The same data showed that students who are chronically absent experience a host of negative outcomes, including lower levels of learning and increased likelihoods of being held back and dropping out. One of us (Robinson) recently called for education reformers to “stop giving parents a pass” and instead seek ways to hold parents responsible for educating their children. To build on this conversation, it is useful to examine ways policy can hold parents accountable for reducing truancy. One state — Georgia — can provide a window into what this conversation might look like at the national level. In 2004, Georgia decided to hold parents responsible by enforcing the state’s school attendance law. This effort sprang from a series of five meetings that then-Governor Sonny Perdue hosted in early 2003. There were five separate meetings: one with teachers, one with principals, a meeting with superintendents, one with school board members, and one with parents and their students. In each meeting, there was one representative from each of the 180 public school districts in Georgia. Each district chose the attendees, so a large majority of the “parents” were also public school employees. Parents almost always had the last say when it comes to their kids. They ultimately make the decision that shapes their children’s lives especially when it comes to their education. Also, most students are minors and the state expects their parents to supervise them and guide them in their studies. Meanwhile, teachers also play a big part as well as the sufficient support and government funding in most public schools for the less fortunate who can’t afford to pay for high tuition fees in private schools. You learn as you go. Parenting does not come with a rulebook. It’s a journey of hits and miss and hopefully, many wonderful memories along the way. While schools can’t always expect parents to be totally hands-on with their children’s studies, they should at least reach an agreement or have a clear understanding of what their responsibilities are when it comes to school and up to what extent they should be involved in their child’s studies. That’s when the child wins and they have bigger chances of succeeding later in life. We live in a digital age where most homes own a computer and even young kids know how to operate it or even any smart gadget. Most transactions are done online too, and of course, you can’t live without social media and the World Wide Web. They spell convenience to a tee. There are many things you can do online and it has also opened up a world of possibilities for you. While we may have a lot of good things to say for all these tech wonders, they can take its toll on your patience and sanity once something goes wrong and it’s become more sluggish than usual. We aren’t all gifted with superhuman knowledge and skills to deal with advanced technology like computing. However, you don’t need to be a genius to learn how to make your PC work faster so you spend less time getting frustrated as your PC buffers and your work drags on because of these minor life inconveniences. Most of the time, a PC slows down because of your Internet connection, a full memory or even hard drive issues. And it’s common knowledge that it takes a PC longer to start up when it’s already full of files. Fortunately, you don’t need to spend a fortune to make your PC work for you and not the other way around. Inevitably your computer slows down. You try to open a website and it grinds to a halt, or read an email and it churns along sluggishly. A slow computer, in many ways, is worse than a broken one — or at least infinitely more frustrating. If you’re going to have any chance of reversing the serious slowdown that’s affected your computer, you’re going to have to work out what’s at the root cause of the sluggishness. Don your detective’s hat and identify the source of the problem with the help of these tools and tricks. You may not like it when it happens but over time, PCs also suffer from wear and tear and will not likely function like it used to. Among the first signs to watch out for is a PC that is slowing down. 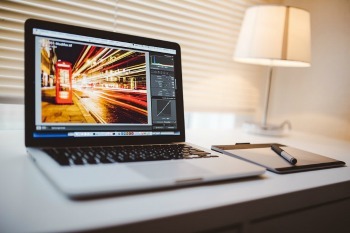 Why it slows down can be because of a variety of reasons but there are ways on how to overcome this minor setback in your computing experience. Part of the reason why well-used PCs take so long to start is because of all the applications and utilities you’ve installed. Many automatically run when Windows starts up, yet most of them don’t need to and should only use up resources when you actually need to use them. At the right side of the taskbar, click the upwards-facing arrow to display the notification icons. Each is a program that loads with Windows. Some are essential – antivirus software for example – but others may not be. Right-click each one and if there is a Settings menu, select it and turn off the option to start automatically with Windows. Some programs, such as Google Drive, can be manually started when they are needed instead of running all the time. To disable all the other programs and ‘helpers’ apps which start with Windows, press Windows+R and type msconfig and click Ok. Select the Services tab, tick ‘Hide all Microsoft services’ and see what’s left. There may be services you can live without and clearing the tick box prevents them from running. For example, Firefox works perfectly well without the Mozilla Maintenance Service. A host of other issues can also be the possible culprit as to why your PC takes longer to start or load. It can be because of malware or other tech nasties and viruses and apps that aren’t updated that slows down your gadget. Aside from the tip mentioned above, there are other ways you can boost your PC’s speed like reinstalling Windows for Windows PC, taming the visual effects, updating drivers and apps, freeing up disk space, installing a faster software and upgrading your computer’s hardware. The planet is home to a diverse group of plants and animals that live on land, in the water, and up in the air yet we all manage to live harmoniously most of the time. Unfortunately, the beauty of nature is slowly fading as human activities continue to wreak havoc on the environment. Pollution is at an all-time high and numerous species already went extinct because of irresponsible hunting and poaching. You can’t even recognize the world we live in now from the world where our forefathers lived in. Forests are receding as cities keep on expanding. If we don’t stop now, the future generations may miss out on many of the things we take for granted now. Over the years, environmental conservation efforts have doubled because activists see the extent of the damage to our planet. And you don’t need to be reminded of it every day in the news because you can see and experience it for yourself. Weather systems and phenomena have changed and countless lives and properties suffer from the wrath of Mother Nature each year. Reducing your carbon footprint is one of the ways we can contribute to protecting the environment even in your own little ways. Additional environmental projects being run by the mine include conservation farming as local farmers are learning the benefit of farming methods which preserve the soil’s fertility and improve crop production. “Conservation farming is one of the livelihoods that we are encouraging people in Kalumbila to adopt and practise for obvious reasons. We want to protect our environment,” Trident Foundation agriculture field supervisor, Christopher Chenga said. Out of the different methods of agriculture, they believe conservation farming takes care of the environment as once a field is opened up, a farmer continues using that piece of land throughout their lifetime and for generations after. He said by staying in one place, a farmer avoids cutting more trees and opening up more fields. Certain industries like lead mining have a profound effect on the environment. It’s what happened to this Zambian town, which was dubbed as the world’s most toxic town in terms of pollution just this previous month. Mine waste disposal is one of the major concerns for obvious reasons aside from that of water and air pollution. We all know how big of a threat global warming and climate change is and you are not safe wherever you are in the world. However, things are starting to change for the better for them and it’s all because they decided to do what’s right after all. The Government has taken a slew of measures to deal with climate change and curb environmental pollution. In line with the UN Sustainability Development Goals (SDGs) 2030, India too set its sustainability goals and solemnly pledged for a safer environment. However, action at the grassroots level has been slow with delays in implementation and economic prosperity taking precedence. In light of the absolute urgency to preserve the deteriorating environment and resources, what should India do? While the government has established concerted measures to conserve both water and energy, little action has been taken so far, even as India continues to witness recurring droughts, extreme temperatures and rising pollution. At present, India is sustaining an estimated number of 63.4 million people living without access to clean drinking water. One of the primary reasons for this paucity is uncontrolled abstraction of water for industrial and agricultural use. It is therefore imperative to focus on promoting recycling and reuse of water and waste water treatment as part of the national agenda to create value. Many nations all over the world are experiencing rapid urbanization. Technology is a big part of our lives, which is not always environment-friendly. 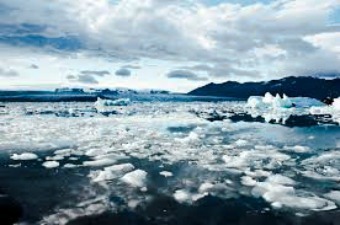 It’s the main reason why climate change has arrived quite early than expected because the planet is changing at a rate never seen before in the past. The population has also exploded exponentially. 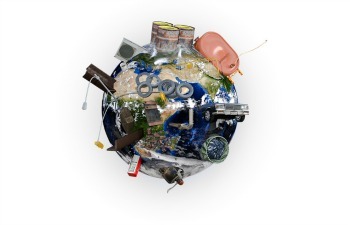 Several billions of people compete for the world’s natural resources that are sadly finite. The time will come that we’ll run out of non-renewable energy sources and live in an inhospitable planet that makes daily living doubly more challenging. Most progressive countries use fossil fuel because they are convenient to use but there are other renewable sources we can also tap that won’t harm the environment. Not only are they safe to use, they are sustainable too. The environment should not always suffer for the sake of economic prosperity but one sector can’t do it alone. Environmental protection requires the collaborative effort of both the public and private sector as the damage is already extensive and we need all the help we can get to turn things around for the better. The climate is a hot topic these days as global warming and climate change continues to have a major impact on everyone’s lives. From intensifying weather phenomena and drastic changes to the natural environment, the world that we know of is changing and we have no one else blame for it but ourselves. The US is a big and powerful nation. Whatever policy it adopts, especially one on a global scale, affects the whole world at large. And an environmental policy is something that is everyone’s business right now, what with global warming a reality that we now face and no longer just the threat that it used to be. President Trump signed the US out of the Paris Climate Agreement along with Syria and Nicaragua because he personally thinks that climate change is merely a hoax and also because he believes the said agreement hurts many big US manufacturers. It’s a trying time, indeed, for everyone and we can expect to see major changes all over the country. Yet despite the president’s withdrawal on the said deal, many concerned US citizens rally together to protect the environment all by themselves. With the Trump administration’s withdrawal from the Paris climate accords, national policy on climate change will emerge from U.S. cities working to reduce emissions and become more resilient to rising sea levels, New Orleans Mayor Mitch Landrieu said at the annual U.S. Conferences of Mayors meeting in Miami Beach. The conference supported the Paris agreement, and according to preliminary results released Saturday morning from an ongoing nationwide survey, the vast majority of U.S. mayors want to work together and with the private sector to respond to climate change. “There’s near unanimity in this conference that climate change is real and that humans contribute to it. There may be a little bit of a disagreement about how actually to deal with it,” said Landrieu, who will replace Oklahoma City Mayor Mick Cornett as conference president this weekend. “If the federal government refuses to act or is just paralyzed, the cities themselves, through their mayors, are going to create a new national policy by the accumulation of our individual efforts,” he said. US mayors convened in a recent conference and came to an agreement to work alongside the private sector in addressing crucial climate change issues that are being neglected by the federal government. Almost everyone in that conference agreed that climate change is a real threat and that we are all partly to blame for its very existence. It is everyone’s goal to work hard in creating a new environmental policy through the collective efforts of the various cities in the country to minimize the damage caused by major industries that President Trump oh so protect. The project – aimed at keeping the island city dry amid rising seas – has received national attention, but Levine noted that not all communities can afford to fight climate change without state or federal funding. A May survey of local sustainability efforts, conducted by the conference and the Center for Climate and Energy Solutions, initially only included 80 mayors who hold leadership positions within the conference. After Donald Trump pulled the US out of the Paris agreement, the survey was extended to all conference members and the mayors of about 1,400 cities with populations of 30,000 or more. It’s not an easy task especially without the support of the national government but with everyone’s help, we can gradually make the necessary changes that the planet desperately needs. It includes a long list of changes such as energy efficiency programs, the use of renewable energy, and alternative transportation that uses less carbon. More and more cities tap renewable electricity and improve their existing energy policies in support of this cause because they are against the president’s decision to neglect the environment just like that. Sleep, or the lack of it, can make or break your day. Sleep affects your mood and energy, thereby affecting your performance. Whether your are still a student or already a member of the working class, you can’t afford to always pull all-nighters if you want to put your best shoes forward all the time. We already know it but it’s even more depressing to confirm what we knew all along. 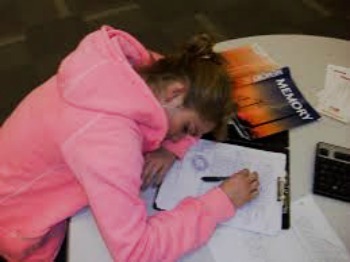 Experts reiterate that your grade may suffer if you constantly suffer from sleep deprivation. So students, beware. Even if you aren’t running for honors, you can afford to always lose sleep regardless of the reason you stay up late at night. However, getting that minimum eight hours of sleep nightly isn’t that easy to pull off with the numerous distractions in your immediate surroundings. From smartphones, the Internet, school, social life, family and relationship issues, etc., you may end up tossing and turning until the early morning hours, so you look like a giant panda sporting dark undereye circles the following day. And worse, your school grades suffer too because your mind isn’t just up to doing any logical thinking and reasoning to help boost your scores. College students who go to sleep and wake up at different times during the week may be harming their academic performance, according to a U.S. study. Consistency – going to bed and waking up at about the same time every day, weekends included – was linked with a better grade point average (GPA) among the college students in the study, the researchers found. “College students who sleep starved themselves during the week and then binge slept on weekends had poorer grades than those whose schedules were more consistent,” senior author Dr. Charles Czeisler, director of the Sleep Health Institute at Brigham and Women’s Hospital in Boston, told Reuters Health by email. Importantly, it didn’t matter how much sleep the students got overall. Sleep timing on its own could predict worse academic performance, even if students made up for lost night-time sleep with naps during the day, according to the results published in Scientific Reports. Truly, getting a good night’s sleep can pave the way to your success in the academe and outside the four corners of the classroom later in life. Sleep restores the body to its peak shape. Many restorative processes take place once we close our eyes for the night that you don’t get even if you try to catch some sleep later in the day. Blame it on your circadian rhythm but that’s how nature designed your body to function. To achieve success, sleep is vital. And if you’re a student, staying up late to cram for a test is not going to help you get that A. Instead, get in the habit of having a regular sleep schedule. A recent study by the Sleep Health Institute at Brigham and Women’s Hospital published in Scientific Reports found that students who went to bed and woke up at consistent times every day performed better academically than students who had irregular sleep schedules. By studying 61 full-time students at Harvard University who kept sleep diaries for 30 days, researchers uncovered the relationships between sleep duration, distribution of sleep throughout the day and academic performance during one semester. The release of melatonin largely has to do with the many health benefits you get from sleep that also helps regulate your normal body clock. Sleep deprivation delays its release, which consequently pushes back your body clock a little later. Students who lack sleep feel groggy and unable to focus most of the day. That’s why they perform poorly in class and get poor grades as a result. Aside from tech distractions that leave students wide awake each night, sleep disorders may also be a cause for many of these sleepless nights. Many younger patients find it challenging to comply with a conventional treatment like CPAP but the use of anti-snoring mouthpieces may be a good option to help patients sleep better and not constantly catch their breath in their sleep. Students no longer have to suffer more from sleep disorders like sleep apnea and can sleep soundly at night, so they get the grades they deserve all along.